Instructions: Pour the contents of this bottle into a 68 U.S. fl. oz. (2 L). Fill with 59 U.S. fl. oz. 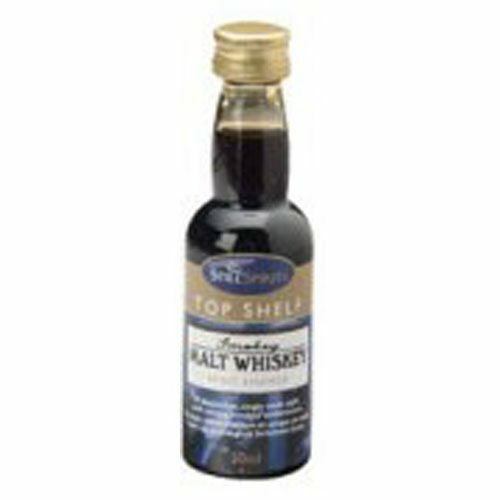 (1.75 L) of 35-40% ABV neutral alcohol, vodka or moonshine alcohol. Shake well to mix thoroughly. Makes approximately 61 fl. oz. (1.8 L). 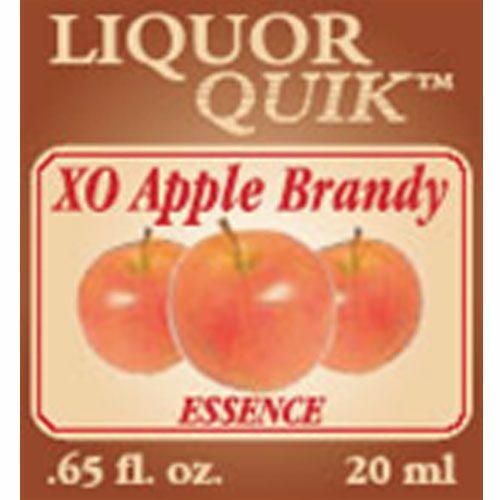 If desired, increase the oak flavor by adding 1 tsp. (5 mL) of Prestige™ Toasted Oak Extract. 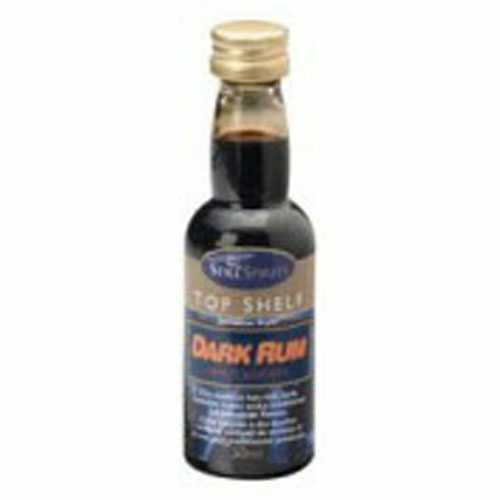 The liquor may now be consumed directly or used to flavor coffees, syrups, baked goods, confectionary or ice creams. Extract may also be added directly to food and beverages without the addition of alcohol or sugar at a dosage rate of 1-3% by volume. I’ve tried them all, Top Shelf, Liquor Quik, etc. 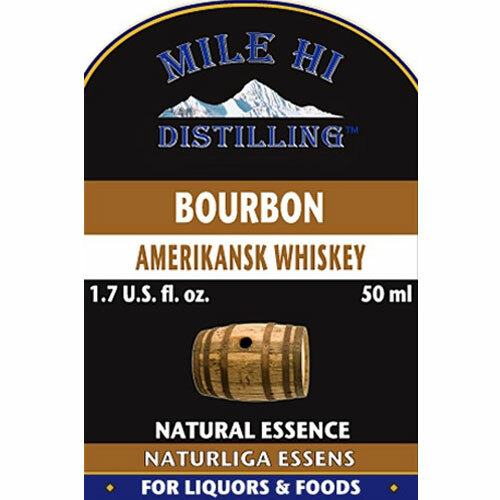 Mile High Amerikansk Bourbon Whiskey is the best. everything I have bought from Mile Hi Distilling is first cabin.. I am happy with your company! Been looking for a replacement for store bought Bourbon for the wife. Finally she likes it!!! Posted a review last year with a 5 star rating. it’s never in stock. One would think that MH would keep it in stock and implement a better inventory system. by far the best stuff out there!!! I enjoyed my first try with this one. Added a handful of dark toasted oak chips for a couple weeks. Nice body. I used 4 of these to make 2 gallons of Bourbon Whiskey from my stock of 90 proof Neutral Spirits. I like this much better then the product I was previously using which took a blend of 4 different essences. 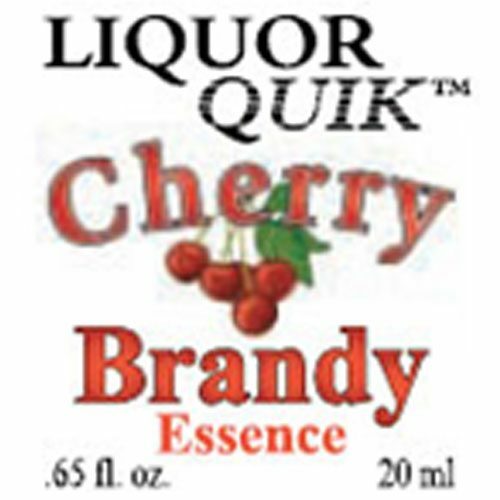 Very good flavor and much cheaper in price from what I previously used.